Aluminum Timing Cover, EDB-6059-A. Replica of the Thunderbird, and truck timing cover. Has bosses for front mount or stabilizer. List price is $250.00 plus shipping. All parts are fully machined, pressure tested, and checked for fit. Bonnets. “F” code. Pass Car or Thunderbird Exact Replica of the factory piece. Cast from 356 T-6 aluminum, Vent flap included. List price is $343.00, plus shipping. Available polished for $100.00 extra. Supercharger mounting bracket, EDB-68545-B with shafts and EDB-8680-B, idler Pulley arm. Ductile iron casting. Considerably stronger than original and not as brittle. Part is shipped with shafts and bronze bushings installed. 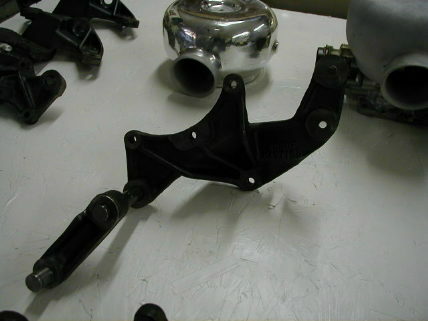 Physical replica of the rare Passenger car bracket. Painted black, lists for $495.00 plus shipping. 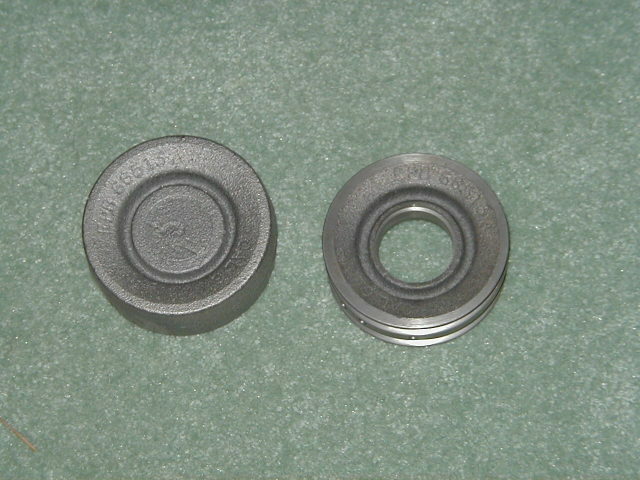 Supercharger, Crankshaft Drive pulleys. Available in black, hard coat anodized 356 T-6 Aluminum or Ductile Iron. 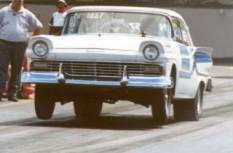 EDB–66505-B; 6 5/8” dual belt, replica of the Standard shift, non power steering OE “F” pulley. EDB-66505-D; 7 ¼” Single belt, with 6 5/8” Power steering pulley incorporated. 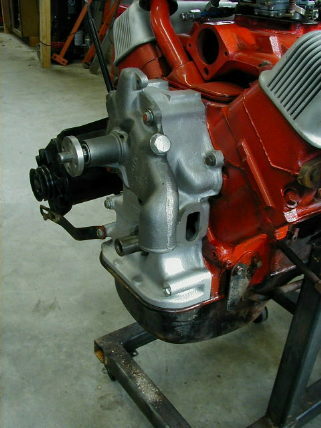 Replica of the automatic with power steering “F” Car pulley. EDB-66505-D ; 7 ¼” Dual belt “cheater pulley” Larger than OE for quicker Boost and higher blower speeds (Same as Automatic). 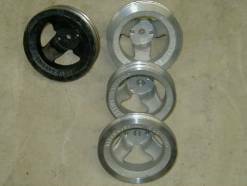 Any pulley in aluminum, or Ductile; $325.00 ea. Plus shipping . 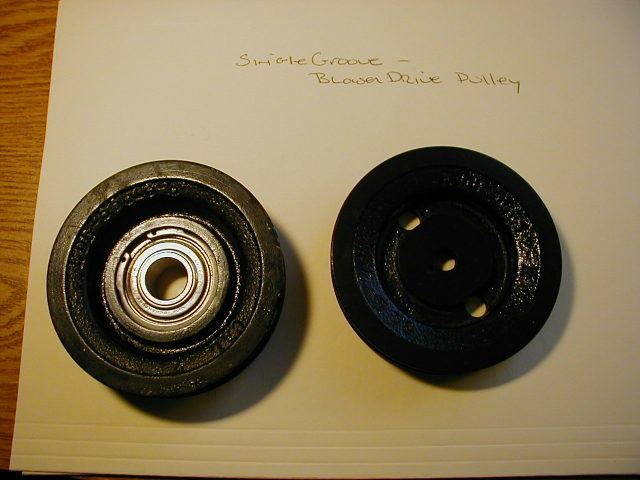 Supercharger Drive Pulleys: Ductile iron, fully machined and zero balanced EDB-66512-A ; Single belt Pulley or EDB-66512-A ; Dual belt Pulley Exact replica of “F” car or Thunderbird drive pulley. Either pulley $156.25 plus shipping. 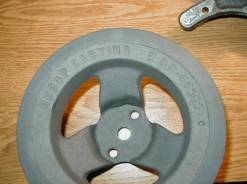 Supercharger Idler pulley: Ductile Iron, fully machined and zero balanced EDB-66513-C; Single belt Pulley EDB-66513-A; Dual Belt Pulley Exact replica of the “F” car or Thunderbird Idler. Either pulley $156.25 plus shipping. 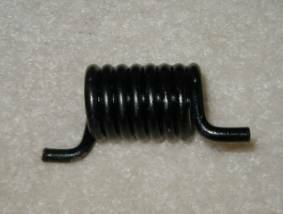 IDLER ARM TENSIONER SPRINGS, exact replica of Factory “F” car parts, from more modern High silicon spring steel. Brand new parts, NOT NOS. List price $49.95 ea, plus shipping. 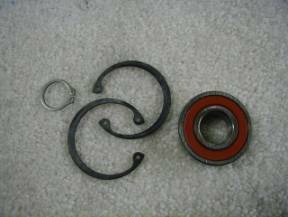 IDLER PULLEY BEARINGS & SNAP RING SET. 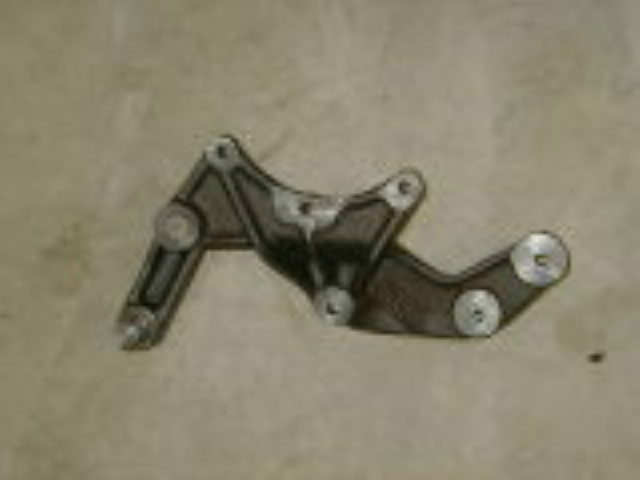 All the parts required to install the idler pulley on the arm $25.00 plus shipping. 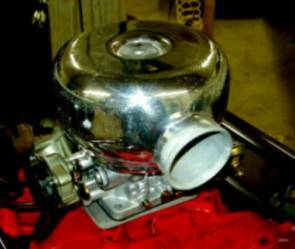 Additional new parts are coming, including an aluminum spacer for Thunder Bird water pumps, and an adapter to mount the teapots on the 57 iron Intake( similar to an “F” car intake) or the new Blue Thunder intake. Rebop Castings, 574, 848-1103, Peglegrice @aol.com.